What is a Public Adjuster ? Looking for Help with a Flood Claim? Looking for the best Public Adjuster in Saint Cloud Florida? Our team of Florida Public Adjusters includes – Past Insurance Company Adjusters, Insurance Restoration Contractors, Mold Assessors & Building Inspectors with over 40 years of experience in the claims industry. You will not find a more capable team to entrust your claim with. Public Adjusters are the ONLY adjusters that are exclusively licensed to represent you as the policyholder throughout the claim process. Don’t be fooled by the term ‘independent adjuster’ as that simply means that the adjuster can work for many different insurance companies instead of being captive to only one – they are still working for and are paid by your insurance company, not you. In the event that your home, business or boat suffers damage whether due to Fire, Water, Lightning, Wind, Hail, Tornado, Vandalism, Hurricane or Sinkhole, we can help. Call 800-801-2099 and speak with a licensed Florida Public Adjuster in St Cloud today! 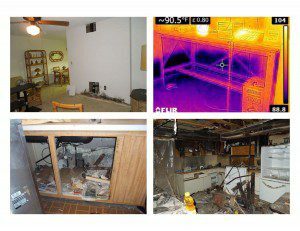 Free Consultation with a Central Florida Public Adjuster! Investigate the loss to determine cause and origin while evaluating damages. Review your policy to determine coverage of the claim. Prepare a detailed Building Damage Valuation Estimate. Prepare a Proof of Loss, if requested or required. Meet with the insurance company adjusters to discuss the loss and scope of the damage. Meet with Insurance Company “Experts”. Bring in our own team of Experts if needed. Attempt to reach a fair settlement with the insurance company adjuster. If needed on many claims we will assist you through the Appraisal or Mediation Process either with one of our adjusters or with an outside expert which is determined on a case by case basis. We will be there with you through the entire claim process with the goal of guiding you and your claim to a satisfactory settlement. We have a Licensed & Bonded Central Florida Public Adjuster in St Cloud ready to assist you with the handling of your insurance claim. We know how to properly file, compile and present your claim in order to recover the largest settlement possible under your insurance policy. We work strictly on a contingency basis, meaning we only get paid when you get paid. Free Claim Consultation with a Public Adjuster in Saint Cloud! Do Not Allow the Insurance Company and their Adjusters to dictate the outcome of your claim and DO NOT settle for less than you deserve. Call 800-801-2099 for your free claim consultation with a Central Florida Public Adjuster in Saint Cloud. Saint Cloud Florida is Located in Osceola County not too far away from Orlando. If you or someone you know needs help with a claim in the St Cloud area, please do yourself or them a favor and call 800-801-2099 to speak with one of our licensed Central Florida Public Adjusters about your claim.